SOCIETY FOR PROMOTION OF YOUTH AND MASSES is located in New Delhi Delhi . SOCIETY FOR PROMOTION OF YOUTH AND MASSES is registered as a Society at Delhi of state Delhi with Ngo unique registration ID 'DL/2009/0001393' . 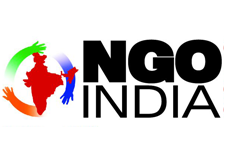 The NGO registration is done by Registrar of Societies with registration number S16824 on the date of 27-06-1986, Its parent ORganaisation is PaulFoundation. The Chairman of SOCIETY FOR PROMOTION OF YOUTH AND MASSES is Dr Zeenat N and Chief functionary officer is Dr Zeenat N.
SPYM is a national organisation with a countrywide network working in the area of community mobilization, health care and socioeconomic development since last 23 years. SPYM has been active at the state, national, international levels and it works in the domains of: 1 Community mobilization for Development including micro finance 2 Health care (STIs, HIV and AIDS, Drug Use and Injection Drug Use etc) 3 Field Survey, Research, education and documentation 4 Advocacy and Networking for better policies and programs In these domains SPYM provides customized services through the following functional areas: (a) Program Planning and policy (b) Action Research and Implementation (c) Partnership and Management services (d) Capacity building (e) Knowledge management (f) Consultancy services Project Implementation: SPYM is implementing socioeconomic development programs in UP, Delhi, Haryana, Jammu, Darjeeling since 1995 in partnership with the State government, National Dairy Development Board and International Fund for Agriculture Development (IFAD). The focus of the program has been on the establishment and capacity building of self reliant community based organisations for undertaking developmental activities in the society. It has trained more than 25000 women members of the SHGs, panchayat representatives and other stakeholders on various issues including Group formation, gender, HIV related issues and concerns, vocational skill development, book keeping, micro finance, leadership and communication skills, life skills and through capacity building training courses enabling them to access and avail services available from various link departments at the Mewat district of Haryana. Project Management: SPYM is the Technical Support Unit (TSU) for NACO project to extend technical assistance in specified areas to the State AIDS Control Society of Jammu and Kashmir, Punjab, Himachal Pradesh and Chandigarh in helping it achieve the NACP goals and objectives. SPYM, as a project holder is implementing a comprehensive HIV programme through TIs for the CSWs, MSM, injecting drug users; mobile population of truckers and their families; Transgender population, young people and uniformed personnel to reduce their risk of HIV infection. SPYM has provided support services to its stakeholders and developmental partners, both government and non government at the state, regional, national and international levels. These include NACO, MSJE, Ministry of Women and Child Development, Ministry of Youth Affairs and Sports, Ministry of Panchayati Raj, Ministry of Human Resource Development, Govt of India, various State governments, State AIDS Control Societies (SACSs), multi lateral institutions (including World Bank, UN bodies [WHO, UNICEF, UNAIDS, UNDP, UNFPA, UNODC, UNIFEM]), bilateral institutions (DFID, CIDA, USAID), international NGOs such as Plan International and national NGOs and CBOs. Experience and expertise of SPYM in the health sector is reflected in the fact that the MSJE as well as NACO and United Nations Office on Drugs and Crime(UNODC) has designated SPYM as the Regional Resource and Training Centre for Northern part of India to provide technical support to NGOs, develop the capacity of the service providers of Civil Society Organisations who are working in the area of HIV and AIDS prevention and drug demand reduction in Punjab, Haryana, Chandigarh, Madhya Pradesh, Delhi, Bihar, UP and other states of Northern India.